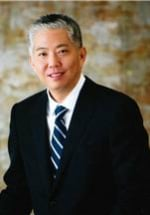 Attorney John C. Ye, born in South Korea on July 14, 1966, immigrated to the United States at the age of six. In 1988 Mr. Ye earned his B.A. degree from Ithaca College. In 1991 he was honored with the American Jurisprudence Award while obtaining a J.D. degree from Whittier College of Law. Mr. Ye was admitted to the State Bar of California in 1992, the U.S. District Court - Central District in 1994 and the U.S. Court of Appeals for the ninth Circuit in 1994. He is currently an active member of the Los Angeles County Bar Association.